We've seen people kicked off airplanes because they declined to purchase extra seats for children or because they refused to be bumped to a later flight or because they got into a dispute with the pilot or crew or because they refused to show proper id or because some bullying law enforcement or political official just wanted to flex his authority. I don't think I've ever seen someone kicked off a flight because they couldn't share the entire plane with a dog. This is not a brutal video all things considered but perhaps we have become so desensitized to anything involving police use of force that as long as there is no beating, shooting or tasing it's okay. Nobody of any gender, age or race likes having larger armed people touch their body without permission and force compliance. Is there a way to move a woman against her will without touching sensitive areas? Unlikely. I can't call it on this one. 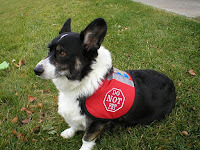 Fortunately I do not suffer from dog allergies. Occasionally people who do have such allergies will visit my home, which does have a dog present. Usually I will immediately put the dog in a separate area if the person has a serious problem and/or asks politely. But if the person tries to tell me what to do with my dog in my home my response might be a little different. Sometimes there is no way to square the circle and ensure that everyone has their rights respected. It's just a win-lose situation. Someone is going to lose. 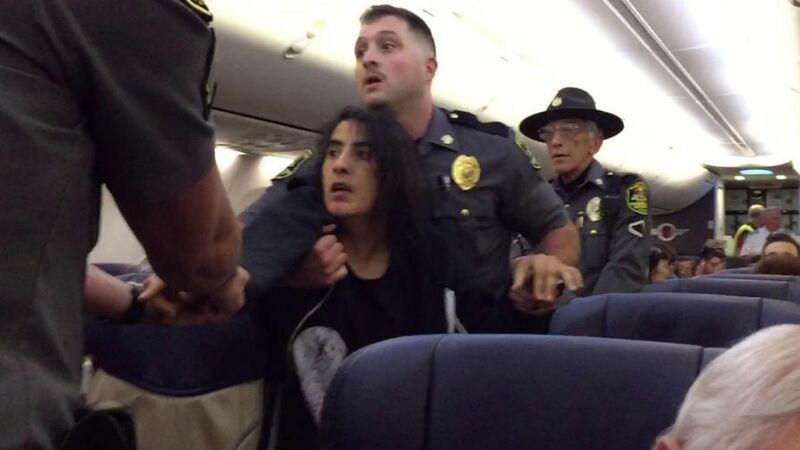 In the story below Maryland Institute College of Art and Harvard Professor Daulatzai lost her battle against the police and Southwest Airlines. A 46-year-old college professor who complained of life-threatening allergies was arrested Tuesday after being forcibly removed from a Southwest Airlines flight that was bound for Los Angeles and carried dogs in the cabin. The incident, which was captured in jumpy cellphone video, occurred at Baltimore-Washington International Airport after a passenger asked that two dogs be removed from the aircraft, according to a witness. Instead, the flight crew asked the woman to leave, and she refused. Anila Daulatzai of Baltimore was taken into custody and charged with disorderly conduct, failure to obey a reasonable and lawful order, disturbing the peace, obstructing and hindering a police officer and resisting arrest, said Lt. Kevin Ayd of the Maryland Transportation Authority Police. Daulatzai was transported to the Anne Arundel County District Court, where she was released on her own recognizance, Ayd said. She had been removed from the plane at the request of its captain. Bystander video shows two officers struggling to get Daulatzai from her seat and down the aisle.“What are you doing?” she protests as one officer stands in front of her while the other pushes her from behind. “My dad has surgery tomorrow!” she says. At one point, the officer behind Daulatzai wraps his arms around her chest. “Walk!” he shouts again and again. Southwest spokesman Chris Mainz issued an apology that said the airline was “disheartened by the way this situation unfolded” and would be reaching out to the customer. Daulatzai, he said, indicated she had a life-threatening animal allergy. An emotional support animal and a pet were aboard the aircraft. If the people onboard who had dogs also had the proper documentation to have them but Professor Daulatzai didn't have the proper documentation to indicate that her life was in danger then I think that it should be the professor who had to leave the plane. It was an ugly scene but if the good Professor refused to leave the plane once the police were summoned I don't see how it could have been otherwise. It is indeed a rare occurrence when an unarmed aggressive individual convinces/forces a police officer performing an arrest to back off. I'm dog friendly so perhaps I am biased. However, I do think that some pet owners do bring dogs or cats where they don't belong. But if you have a life threatening allergy to a dog shouldn't you also have your medicine and paperwork with you? This is a dog friendly society. If you want to make someone else get off a plane because of their dog you're going to need a little more than your say-so.